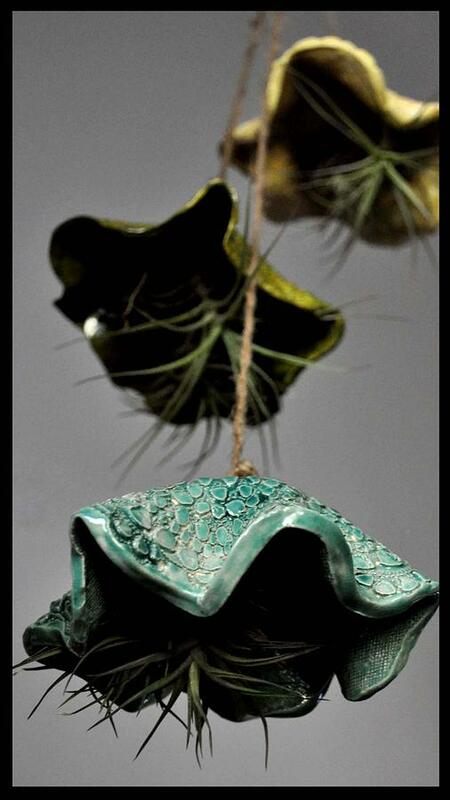 Sold Pottery Air Pods is a ceramic art by Amanda Sanford which was uploaded on July 14th, 2010. These are petite ONE OF A KIND hand thrown pottery air pods used to hold air plants which are air purifying indoor house plants. Price is per individual pod. The photo shows 3 pods. Contact me for discounts for multiple quanities. There are no comments for Sold Pottery Air Pods. Click here to post the first comment.